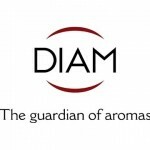 Closure Company Diam Bouchage has unveiled a sustainable version of its Diam closure range in Europe. Named Origine, the technology uses food grade castor oil as the binding agent with microspheres produced from beeswax. The new Origine technology will be used to produce standard corks. This new technology has been designed for producers looking for an option of higher OTR and those looking for sustainable options. The new technology offers higher oxygen permeability, while providing the same structural guarantee when compared to the other products in the same range. This entry was posted in Castor Uses and tagged castor, castor oil derivatives by Gayathri. Bookmark the permalink.